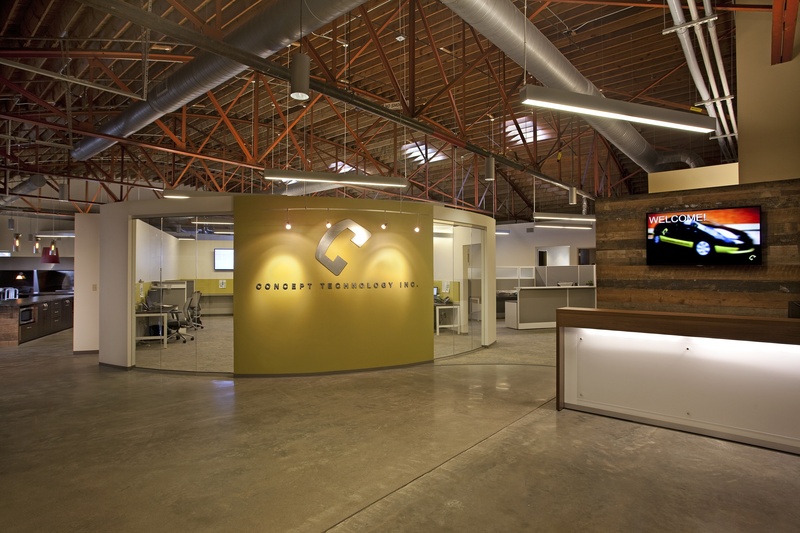 When Concept Technology, an IT service provider that serves over 200 area businesses, moved its office from Music Row to the historic, renovated BowTruss building in Germantown, Concept Technology President James Fields called on Southeast Venture to design the interior space. Mr. Fields wanted to create a non-traditional office that would help the firm recruit and retain top talent in the highly competitive tech sector. 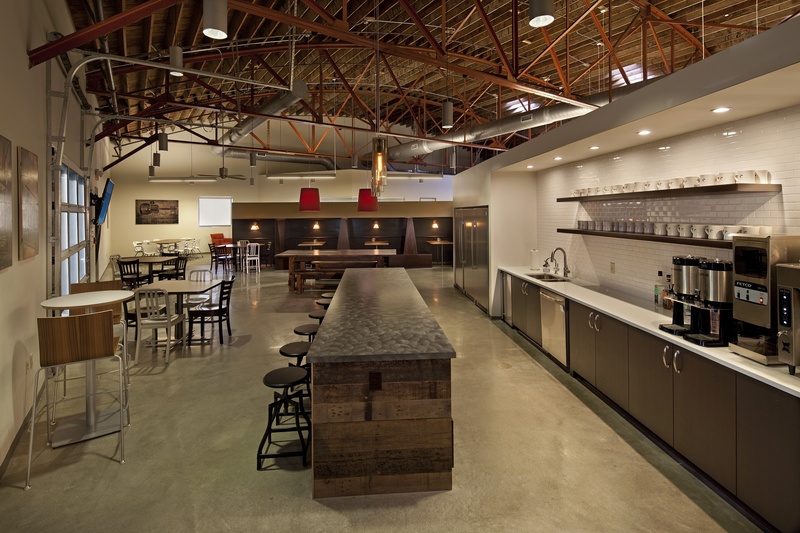 Southeast Venture’s Interior Design Director Ginny Caldwell and Designer Shannon Mikula transformed the former industrial/warehouse space, giving it an “old meets new” creative/tech vibe. To enhance the existing architecture of the space—from the burnt orange trusses to the bowed, wooden roof— Southeast Venture used different wall heights that mimic a cityscape. 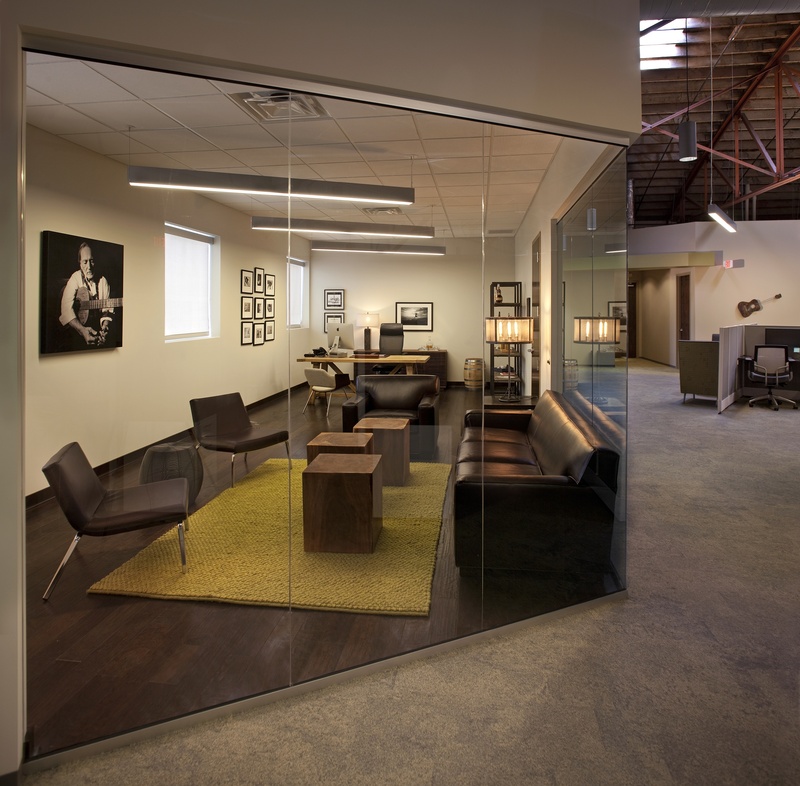 Guests entering the office get a little peak all the way through the space, and want to see more. 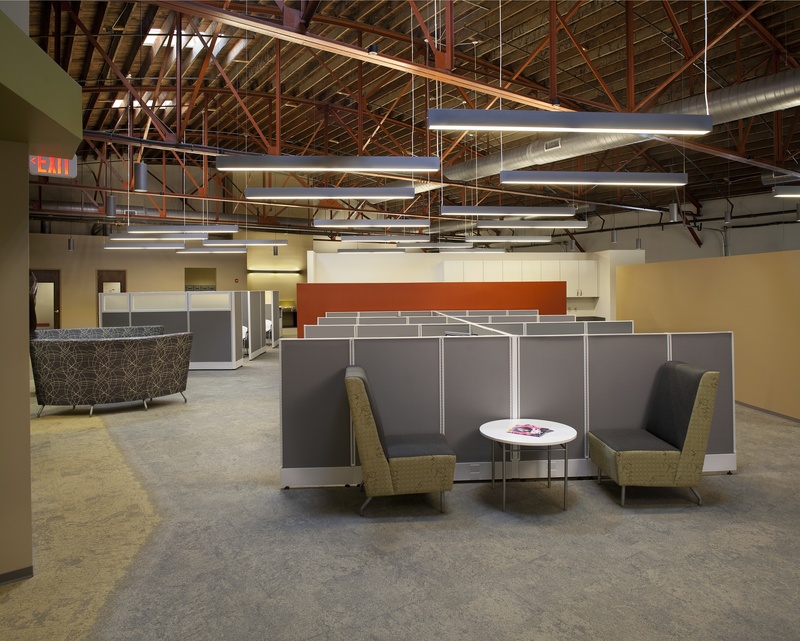 The one-story, open layout greatly increases employees’ communication flow (instead of the tucked-away, multilevel space the company used to inhabit). The 40-person café serves as a gathering place for on-the-go engineers and Millennial employees who don’t want to sit in their cubicles all day. Booths, designed after local coffee shops and the two glass garage doors that open into the space add to the collaborative appeal of the café.